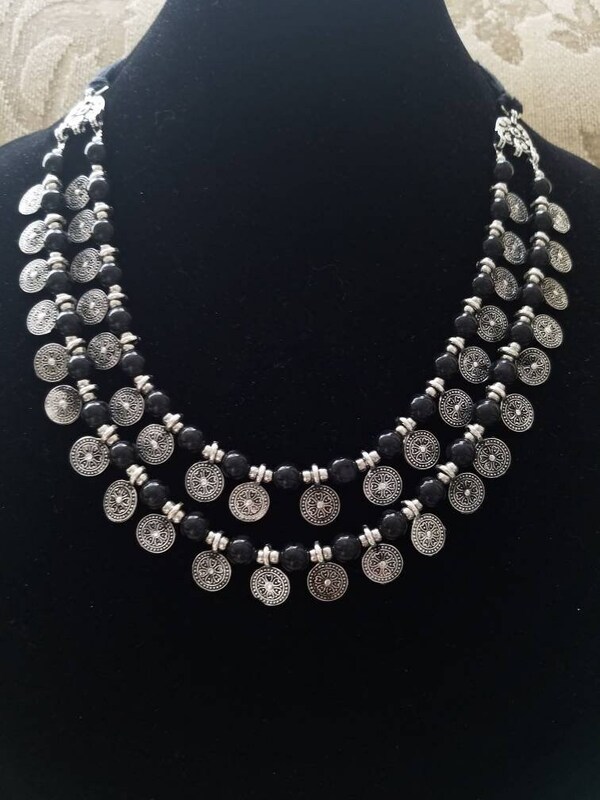 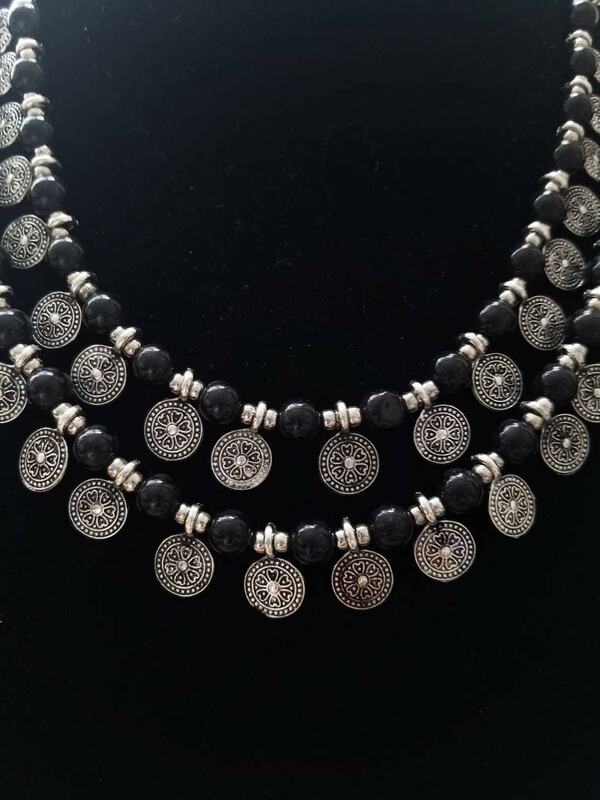 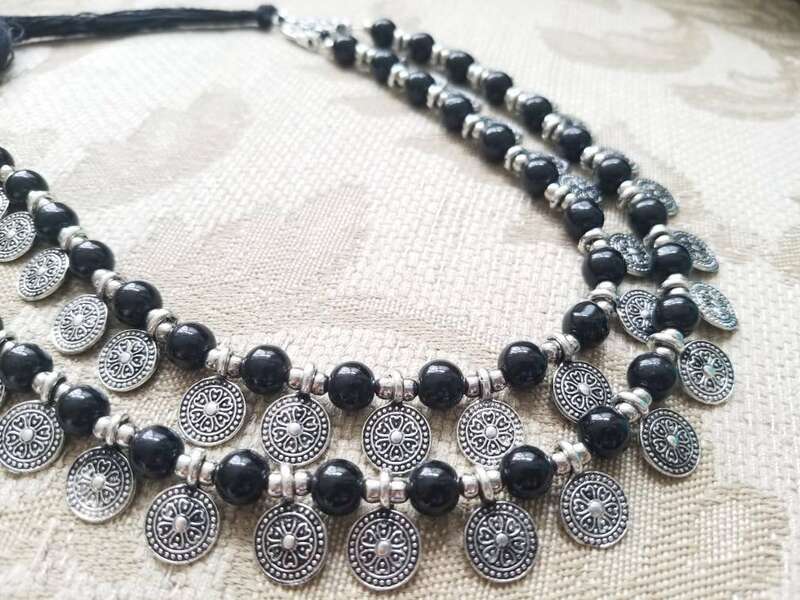 Look so stylish in this multi strand necklace of jet black beads alternating with round metal discs stamped with a detailed floral pattern. 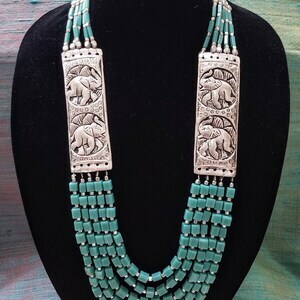 In oxidized silver, so as to create the lovely patina of a vintage tribal piece. 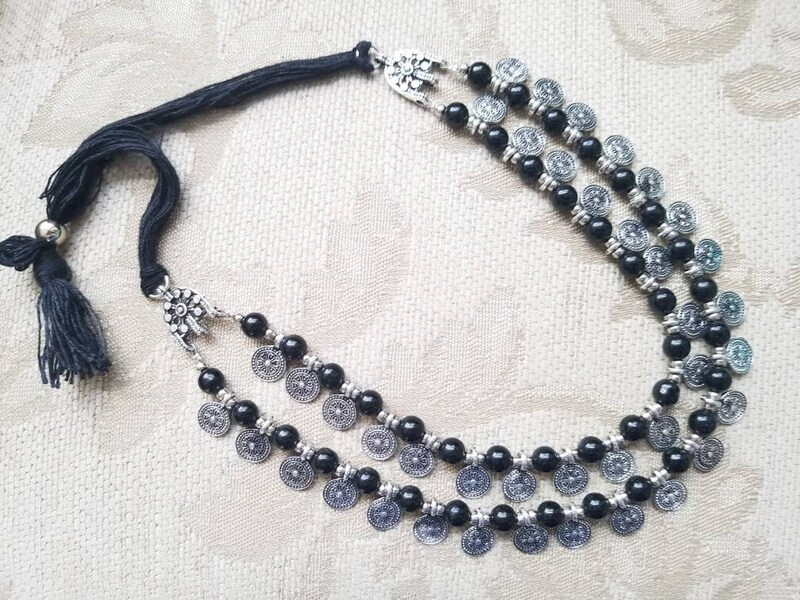 Perfect fit for you -adjustable length from 7 in to 12 in using sliding silver colored bead along black cotton threads. 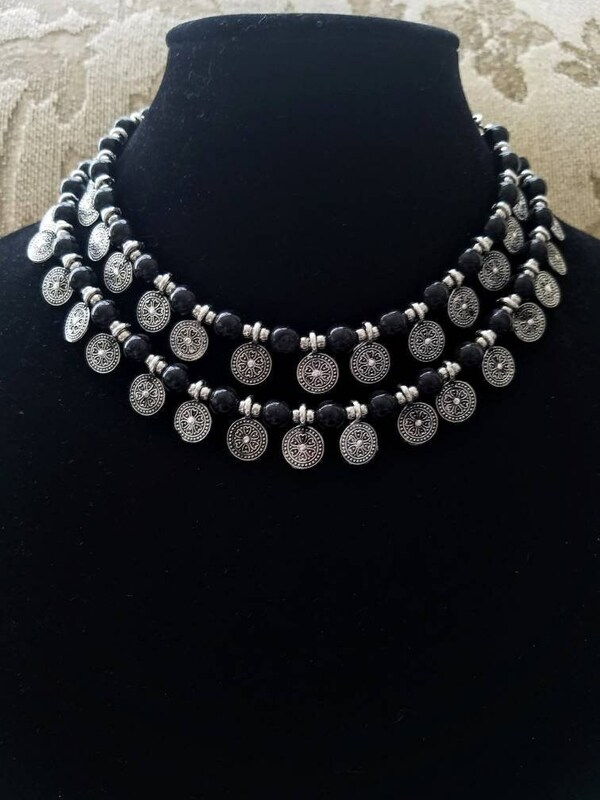 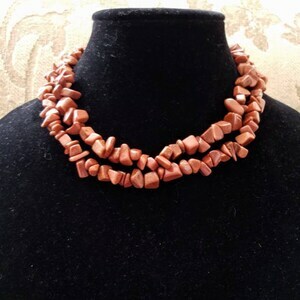 Wear it as a choker or loosen it and wear it as a necklace. 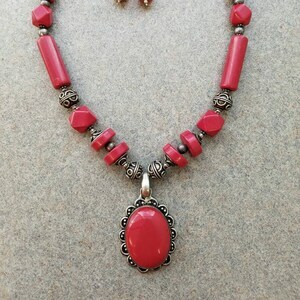 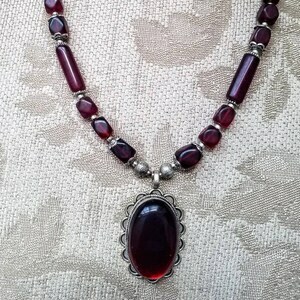 Love the necklace but want a different color?